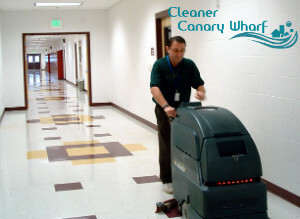 Our company has been cleaning hard floors for many years. We have evolved a lot since we started. Our expertise has broadened and we have gained vital cleaning skills and knowledge. Today our hard floor cleaning service in Canary Wharf E14 is one of the best services in London. Our brand name is associated with punctuality, professionalism, expertise and excellent results. We are dedicated to cleaning and maintaining hard floors. We will make your surfaces bright and sanitised in one pass. We promise to get satisfactory results. If you and your family need hard floor cleaning, our service is the best bet. Don’t miss out on this chance. 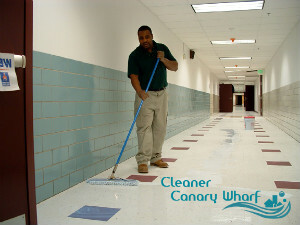 To bring back the shine to your hard floors, you have to use our detailed hard floor cleaning service in Canary Wharf. We offer high-quality performance, friendly attitude and reasonable prices. Deep cleaning your hard floor usually extends beyond what a broom and mop can accomplish. The truth is, heavier and more powerful machines are necessary. The good news is, we have everything we need and we will restore the shine to your floors on the first try. Our hard floor cleaning service in E14 Canary Wharf is a deep cleaning procedure that aims at tough stains, dirt, mud and grime. We utilise specialised cleaning solutions and cutting-edge rotary machines that go over the surface lifting dirt and debris. Our cleaning system is really effective and has never failed us. It eliminates stains and grime in a short period. Contaminants are easily eliminated. We use disinfectants to get rid of any bacteria and make your hardwood surfaces safe. When the overall cleaning is done, hard-to-reach areas will be cleaned by hand. We’ll examine the floor in case we’ve missed to clean something. We can assure you that our service will obtain the results you aspire to get. Dial our contact number to learn more about our booking options. We will be happy to help. Give it a go.